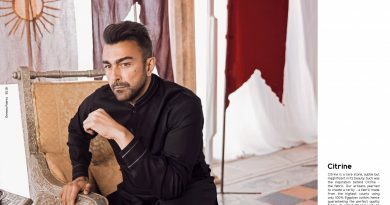 Sania Maskatiya bridal dresses 2019: A sharp mind and creative fashion designer of Pakistan Sania Maskatiya presenting latest bridal dresses for 2019. Sania Maskatiya become a leading fashion designer in Pakistan she also introducing amazing ideas in women clothing like formal, casual, pert, and bridal wear with western touch. Sania Maskatiya also setting up some unique trends in Bridal wear with amazing handcrafted work with Zari, zardoze work, stone work or some latest techniques to Ornamental bridal wear. The design house engages in some of the best craftsmanship in Pakistan, coming from generations of artisans who have specialized and perfected their craft. 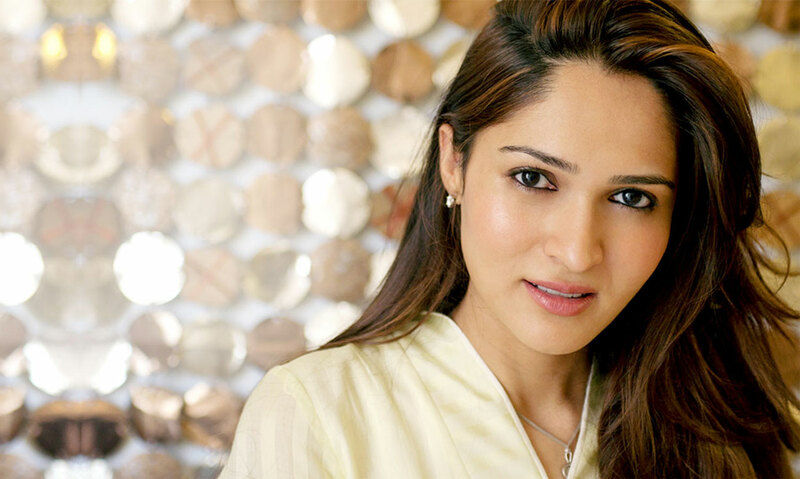 Sania Maskatiya also represent her fashion at all leading fashion event of Pakistan or international or also participating in New York Fashion Week in 2018. Sania Maskatiya Known for her craft and elegant take on fashion, Sania Maskatiya’s Malabar reigned the runway this season, bringing in the kind of bridal fashion we needed to see more of! 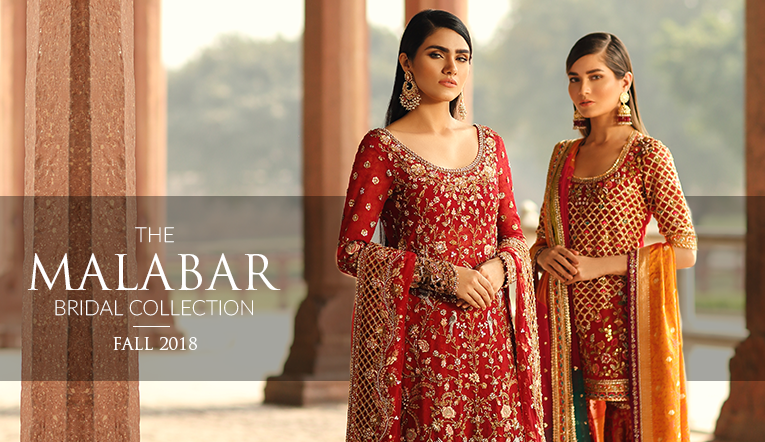 We saw bright colours, dramatic silhouettes, traditional work that went beyond the monotony of silver embellishments, and so much more that made Malabar a sight for sore eyes. So here we published latest bridal collection of one of the best fashion designer in Pakistan Sania Maskatiya. 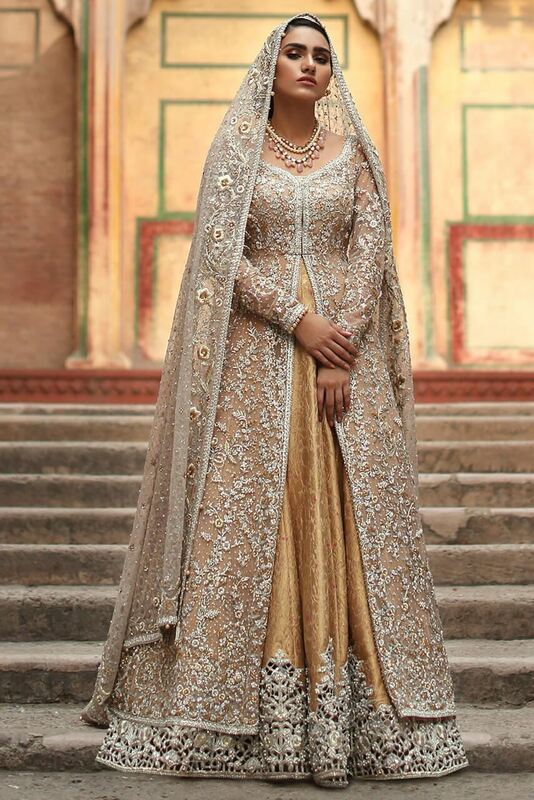 Hope you like or plan to make your wedding day memorized with these stunning Bridal wear by Sania Maskatiya. 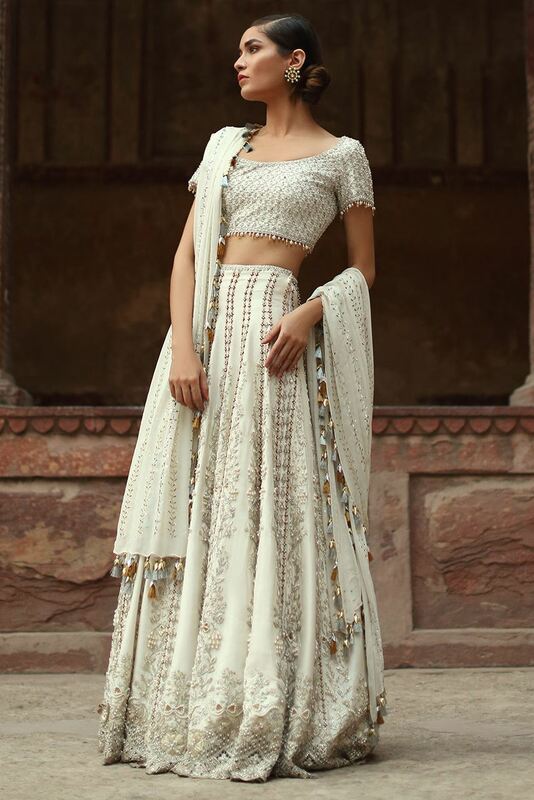 Sania Maskatiya Bridal Dresses: A gorgeous long heavily worked net shirt with hand embroidered details of zardoze work. The outfit comes with net dupatta featuring zardoze work border and Jamawar hand embroidered Dhaka pants. Sania Maskatiya Bridal Dresses: A deep red heavily worked net zardoze shirt with cut work border. It is paired with contrasting orange Jamawar hand embroidered Lehnga, and net zardoze worked dupatta with cutwork border. Sania Maskatiya Bridal Dresses: This super stunning net shirt is made of rich floral embroidery which is further enhanced with zardoze work. It is paired wih net zardoze work dupatta, and Jamawar hand embroidered worked lehnga. Sania Maskatiya Bridal Dresses: This gorgeous net shirt with floral embroidery details. It is paired with zari net embroidered dupatta and tissue embroidered lehnga.A amazing bridal wear with chic embroidery and style.